In January this year Soul Jazz reissued Count Ossie & The Mystic Revelation of Rastafari’s second album Tales of Mozambique and a few months later the same label reissued Count Ossie’s Man From Higher Heights. Since then I’ve been eagerly waiting for the reissue of Count Ossie & The Mystic Revelation of Rastafari’s ground-breaking debut album Grounation. And last week it was finally reissued. But not by SoulJazz, but by Japan’s Dubstore. Grounation is now finally available again in its glorious entirety – a three set vinyl or a double disc CD collecting 15 tracks of ambitious and mystic nyabinghi. To describe this album – originally released in 1973 – as uncommercial would be a serious understatement. Grounation comes with a great deal of integrity and is a powerful philosophic experience. Almost transcendent to some degree. The album was recorded through three different recording sessions where Cedric “Im” Brooks and his Mystic Revelation of Rastafari met with Count Ossie’s Rastafarian Drummers at a grounation, which is a sort of emotionally charged musical gathering as well as a spiritual experience. And to put this gathering on wax is a musical sensation. But this set is not for the faint-hearted with its repetitive and meditative drumming complemented by a creative jazz-based horn section led by musical director and saxophonist Cedric “Im” Brooks along with Rasta chants and orations courtesy of Brother Samuel Clayton. Brother Samuel Clayton represents an early form of dub poetry or spoken work as showcased on cuts like Narration and Narration Continued. With Grounation you never know what to expect. Every song is like a Kinder Egg. On one hand you have spoken tracks with no instrumentation, like Poem 1 and Poem 2. Then you have a relatively traditional song like Four Hundred Years with a melancholic melody reminiscent of Simon & Garfunkel’s Scarborough Fair. Or the title track which is spread across two cuts clocking in at a total of 30 (!) minutes. Grounation is a psychedelic, colorful and ethereal joyride and a milestone in the development of reggae music. Just as many other music genres reggae has several sides; it can be insanely catchy and commercial on one hand, but also hard to grasp and uncommercial. Nyabinghi is often the latter and UK’s Soul Jazz Records has now reissued a landmark album in that genre. Count Ossie & The Mystic Revelation of Rastafari’s Tales of Mozambique – originally put out in 1975 – is a fascinating and spiritual journey and the follow-up to the outfit’s ground-breaking debut set Grounation. The group was formed in Kingston, Jamaica, in 1970 and was a union of two existing ensembles – Count Ossie’s crew of drummers and horns man Cedric “Im” Brooks’ Mystics band. Both bandleaders are central characters in the development of Rastafarian roots music, especially Count Ossie who has become a mythical and iconic figure since his untimely death in 1976. Tales of Mozambique is deeply rooted in rituals of traditional African drumming. It’s avant-garde, powerful and continues where Grounation left off. It has the same radical combination of nyabinghi rhythms, free jazz and chanting. It celebrates Afro-centric identity and traditions and tells the history of Mozambique and how it became colonized and its people enslaved. The arrangements are loose with repetitive drumming and bass lines along with jazzy horns, reasoning and chanted group vocals. 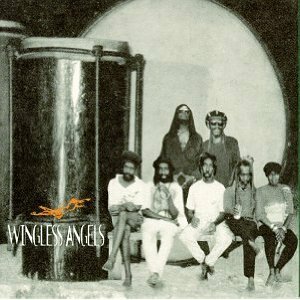 The musicians behind this album had lots of integrity and courage because it’s experimental and revolutionary with a unique sound. Tales of Mozambique is a slice of hypnotic music history. Spanish reggae duo Rampalion returns with a second album, the follow-up to last year’s Songs ´Bout Love and Fight. On Inside the Kete Heart Juan Manuel Villa Escribano and Oscar Montesinos Marques get additional musicians to add horns and backing vocals. Otherwise this album is mostly created by themselves. The set revolves around percussion and several of the songs are based on percussion – the bass drum, the kete drum and the funde. All three instrumental in nyabinghi music. This album is however much more than a nyabinghi effort. It has the organic and pulsating flavour of a nyabinghi album, but it’s also more melodious and catchy. Partly thanks to grand harmonies and infectious, and insanely catchy, choruses and melodies. Listen to Meditation. It sticks like glue. Lead singer Juan Manuel Villa Escribano has a raw and passionate voice and sometimes he could be mistaken for a rock singer. On Hope he certainly shows his range. It has an 80s vibe with its uplifting horns and memorable melody. 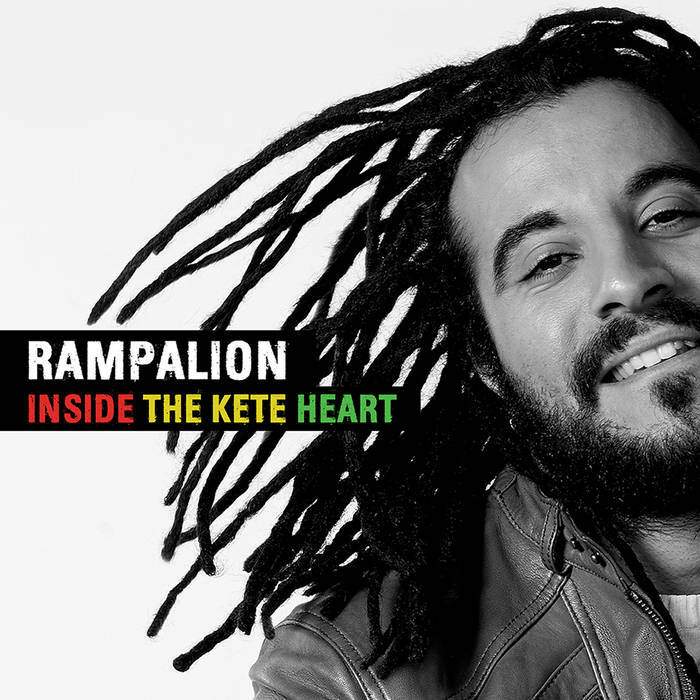 I have ever heard a reggae album based in the nyabinghi tradition that is as easy-going and accessible as Inside the Kete Heart. Feeling a bit stressed and exhausted? Well, what you might need is some meditative and uplifting sounds. 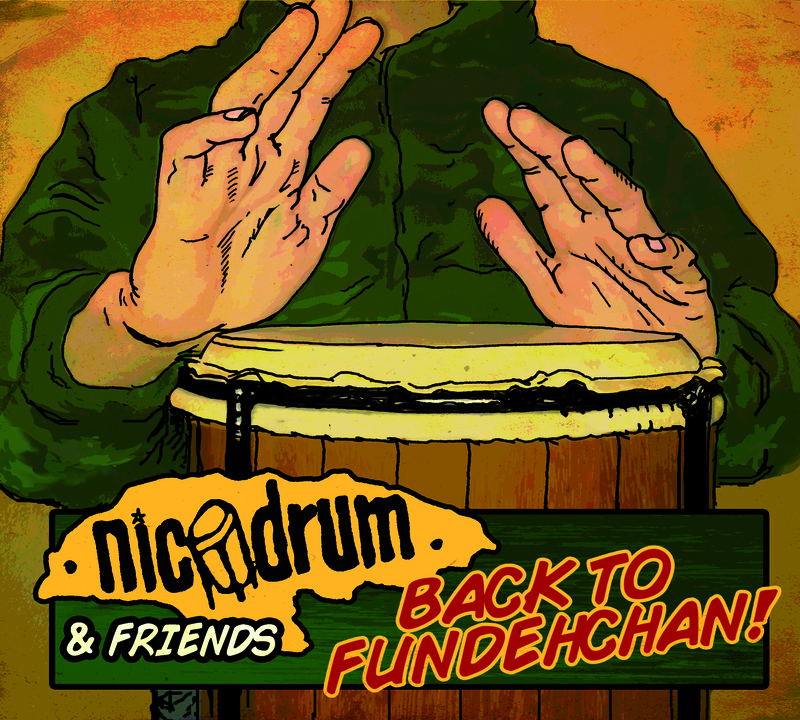 And those are provided by French musician Nicodrum and some of his friends on the album Back to Fundechan, a twelve track album offering a fusion of reggae, nyabinghi, jazz and bossa nova. Nicodrum is a noted percussionist as well as a session and live musician who has worked with Capleton, Richie Spice, Queen Omega, Jah Mason, Pressure and Willie Williams. His mentor is legendary Jamaican percussionist Noel “Skully” Simms, who has played with almost everyone in the reggae business since the 60s up until today. Back to Fundechan is the result of a clever blend of rhythms from Africa, Jamaica and Africa, and it sounds rural and organic, yet urban, slick and contemporary. And loads of instruments were used when this album was recorded. You’ll hear flute, soprano saxophone, tenor saxophone, melodica, guitar, bass and of course several different drums. This album is mostly about percussion and drumming, hence the title, which is a reference to the fundeh, one of three different drums essential when recording nyabinghi. The set is instrumental all the way and recorded together with renowned French producer and mixing engineer Fabwize. Each track has its unique identity and is led by two main instruments accompanied by a large brass section and chest-pounding drumming. This is music with a big heart, a solid pulse and lots of soul. Love it. Just finished Keith Richards’ biography Life. He’s guitar virtuoso in The Rolling Stones, slave to rhythm, growing up eating early R&B singles for breakfast, and a devoted reggae fan ever since the early 70’s. He has for example recorded with the late Peter Tosh and Max Romeo, but has also lived in Jamaica and bought his first house there in the 70’s. Together with The Rolling Stones he and his partner in crime Mick Jagger – known together as the Glimmer Twins – have tried their is hands on several different music genres, including reggae. 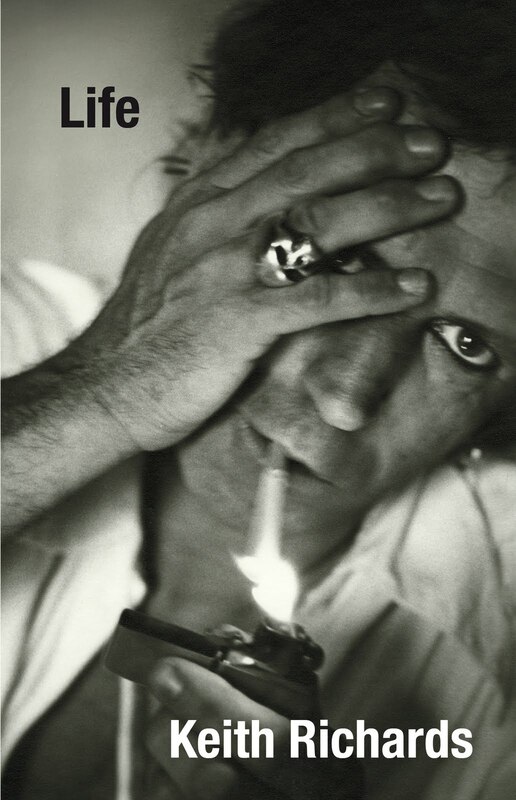 When I read Life I learned that Keith Richards love for reggae was deep, almost profound. 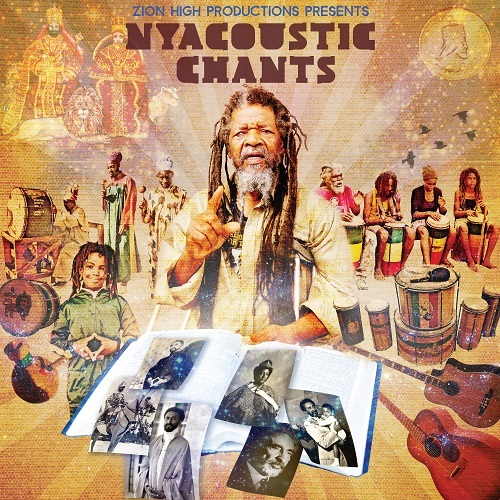 I found out that he had recorded a bunch of spiritual nyabinghi musicians in his home in Ocho Rios in the mid 90’s. He christened the outfit – led by the late Justin Hinds – Wingless Angels and their self-titled debut album dropped in 1997 and its follow-up just two years ago. The latest release is actually the last known recording of Justin Hinds, who died of cancer in 2005. When listening to the albums I’ve to say I’m impressed. Keith Richards has kept the music to its bare essentials – powerful and unison chants to the sound of African-styled drums. There are however some minor, but not disturbing, overdubs by guitar, bass, flute, vocals and violin. Wingless Angels are far away from the gritty, floor shaking rock The Rolling Stones are known for, and it’s noble of Keith Richards to not impose much electricity to these mostly Christian traditional hymns. Because it’s their raw, authentic and genuine atmosphere that makes each track unique, and only someone who has a passionate love of music can refrain from tainting it with their own flair, and instead keep it pure. Keith Richards just stepped through the ranks in my book.